For his book pulling together the complex history of philology and how Western humanistic learning split into the modern humanities that we know today, Notre Dame historian James Turner has received the Phi Beta Kappa Christian Gauss Award. 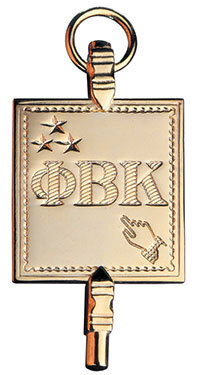 Phi Beta Kappa is the oldest honor society for the liberal arts and sciences in the United States. The Christian Gauss Award is given for books in literary scholarship or criticism and is named for the distinguished Princeton University scholar, teacher, and dean who also served as Phi Beta Kappa president. Turner’s book, Philology: The Forgotten Origins of the Modern Humanities, looks at how learned researchers once included languages, history, and texts in a single broad field of study that came to be known as philology. But in the 19th century, this encompassing field started breaking into what would become the modern fields of study recognized as the humanities today. Turner’s book explores those commonalities and why they are so important at a time in which the humanities fight to stay relevant in the eyes of society. The split into separate fields, Turner says, likely came from changes in social and economic organization that led to increasingly specialized jobs or careers, a pattern imitated in colleges and universities. Originally published by Brian Wallheimer at al.nd.edu on June 24, 2016.